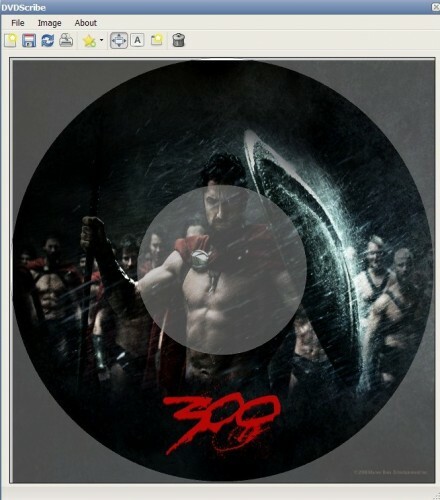 DVDScribe is an Open Source software that allows the user to burn images on Lightscribe disks. If you remember Lightscribe disks are specifically coated CDs and DVDs that can be utilized to produce laser coated graphics on the disks by using a CD or DVD burner that is supporting Lightscribe. The first release of DVDScribe comes with a graphical user interface which can be used to select an image from the computer's hard drive to burn it to a Lightscribe disk. This could come in handy if your main disk burning application is not supporting Lightscribe media. The image that has been loaded into the Lightscribe software can be zoomed, moved, rotated and stretched to fit the disk. Two other options include a grayscale and contrast filter. The Lightscribe images can be saved or printed to disk after adjusting the image. DVDScribe works surprisingly well despite its low version (0.0.0.2). If you got a Lightscribe compatible DVD burner you might want to give it a try. Why use this when the LightScribe LP gives out the system software, diagnostics software, and the labeling software for free? And unlike this beta project, LightScribe LP has their software available for Win/Mac/Linux. I know the argument for open source projects, but if it’s based on a closed source SDK, I’m not sure the “open-source-ness” of this project alone makes it worthwhile. I had to reinstall Windoze on a computer at work. Unfortunately, this was the only one with Lightscribe and somehow we don’t have the disk for the lightscribe software. After downloading their “software”, I found out that I need Nero or something else to make it work. So, for all the griping about “open source” and “why do this?” this is actually the exact thing I needed. It was a quick download and is working well. So, while the other software might work for you, it didn’t in this instance for me. I’m very grateful for this being made available.